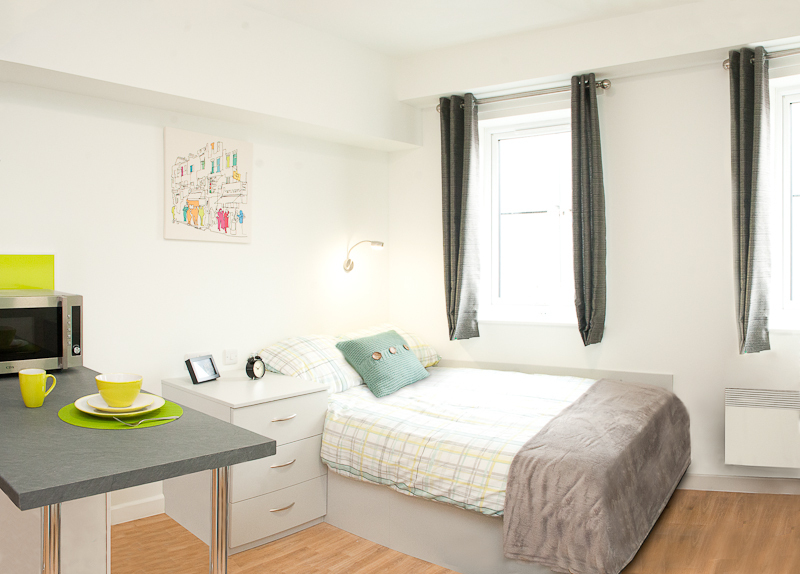 The Pickstock Group has successfully delivered their largest student accommodation scheme to date. The 779 bedroom site on King Edwards Quay in Colchesterwas once an unattractive development site which has now been transformed into the largest privately owned student accommodation scheme in Colchester. Pickstock Construction undertook the role of main contractor on the two phased scheme in November 2013, and now almost two years on the development is complete. The Pickstock Group utilised its off-site building solutions business Elements Europe to manufacture, deliver and install all room modules. Seven different room types were manufactured in order to meet a range of student budgets. In total Elements Europe supplied 1049 modules to the scheme including student rooms, shared kitchen facilities, plant rooms, corridor cassettes and the roof structure. Externally the development has been landscaped to offer an attractive outdoor space for students to enjoy next to the quay. Students can also benefit from a Co-op store, and a bar and restaurant will open shortly.